I hated the first trailer for Star Trek: Beyond. Hated it. Then I had to watch it in front of every movie for the last five months, and if I ever hear “Sabotage” by the Beastie Boys again, I’m just going to lash out and hit the first person I see. I know I’m not alone in being underwhelmed. Simon Pegg, who plays Scotty in the film and wrote the script for Beyond, begged fans not to judge the film by the first trailer. The second trailer is 1000% better, and I’m actually looking forward to seeing the film again. Zachary Quinto and Chris Pine have already signed for a fourth film, so this isn’t likely to be the crew’s last go-round. One thing, though, honestly, how many times are they going to destroy the Enterprise? It was shocking the first time. In Star Trek III. It’s Star Trek XIII now. The ship has gone down so many times you’d think the name would be cursed among space explorers. Get ready to go BEYOND (see what I did there with the pun?) when the film opens on July 22, 2016. Apparently every film now that had a trailer supposedly going to debut this week with Star Wars Episode VII has now been released onto the Internet. Star Trek: Beyond (Star Trek XIII, if you’re scoring at home) debuts in a brief trailer that is….really different from any previous Star Trek….anything I’ve seen before. Beyond was written by cast member Simon Pegg (Scotty) and will be directed by The Fast and The Furious‘ Justin Lin. The film is set for a July 22, 2016, release. Star Trek From A to Z: Fantastic Fan Art by Carly Strickland! 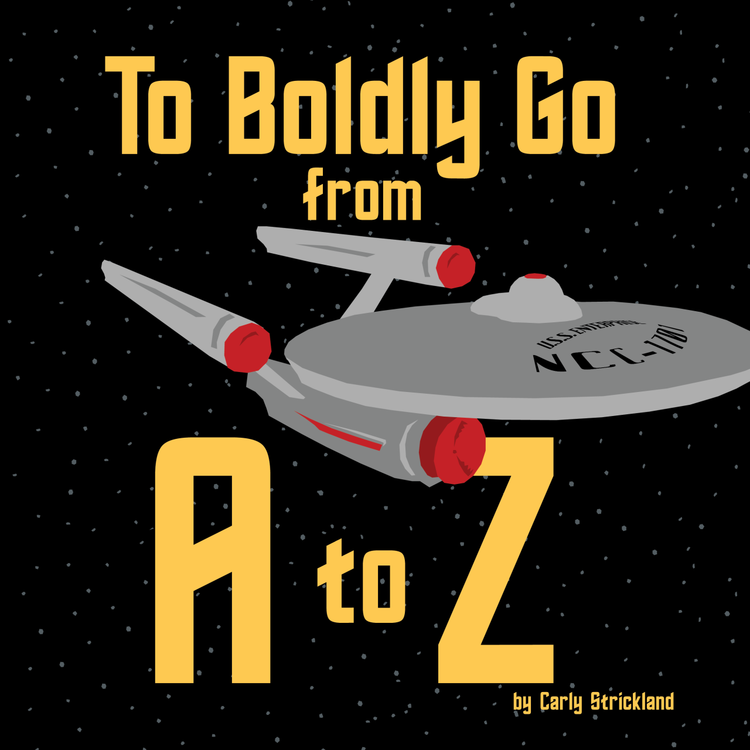 I’ve seen A to Z prints for a lot of things before and they’re always cool, but never a Star Trek one until I saw this one by Carly Strickland and it is fantastic. If you want to see the whole thing or buy a print or the series in book form, visit her site and behold her talent by clicking here. Earlier this week, we lost one of the greatest science fiction actors in the history of the medium if not THE best. That’s not to ignore decades of other acting Leonard Nimoy did or his accomplished career as a director (and his rather hilarious career as a singer), but even he made his peace with the fact that his life’s work would most be associated with The Enterprise’s Vulcan First Officer. Last year, before Star Trek XII (Into Darkness) was released, we examined six out of the eight Trek films that Nimoy was in, so if I wanted to tribute him here this week (and clearly I did), I was reduced to Star Treks one and five. 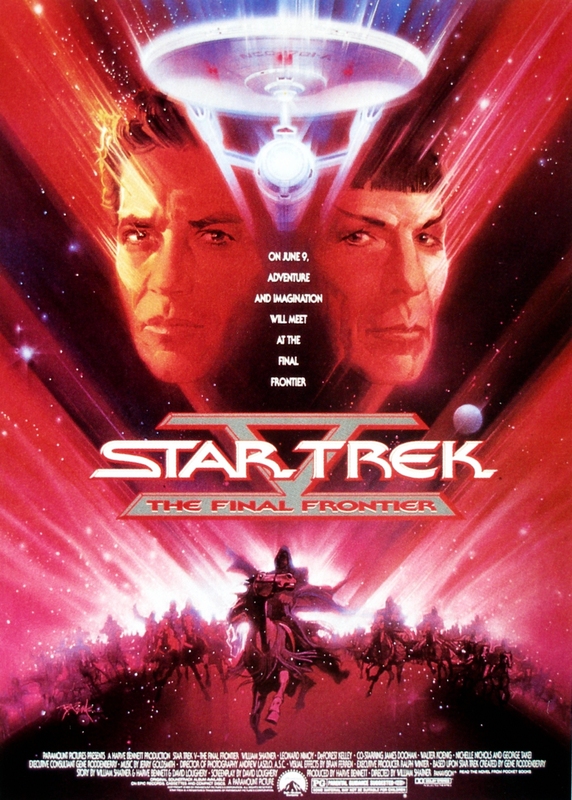 People will debate the first Star Trek film, but I have yet to find anyone who can mount a convincing argument for Star Trek V. The Enterprise meets up with Spock’s heretofore unmentioned brother who takes them to a planet where “God” is imprisoned (quotation marks indicating not the Almighty). It was an utter and complete mess, probably not helped by the fact that William Shatner was directing it and the rest of the original cast hates his guts. BUT…..but, even in the worst of films there can still be great scenes. The film opens and closes with Kirk, Bones and Spock camping on a vacation. It’s a fantastic character piece of just letting these three old friends be and letting the camera roll. Thanks for all the memories, Leonard. Live long and prosper.